Archer was diagnosed with DMD last year, when he was 4 years old. Charming — that’s the first word that pops to Matt Kendall’s mind when describing his 5-year-old son, Archer. “He’s clever, mischievous — in the best way — very quick to laugh and giggle,” Matt says. Archer also has a need for speed. 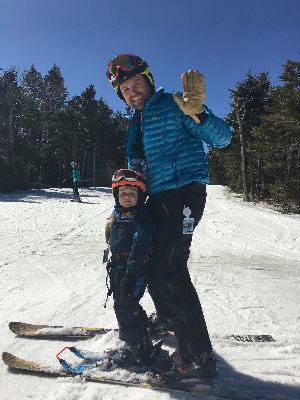 He likes to go really fast, whether that’s while snowboarding with his dad, boating or biking. And, like many little boys, Archer also has a flair for annoying his older brothers. But his parents noticed that Archer wasn’t quite like other little boys, or like his older brothers when they were his age. 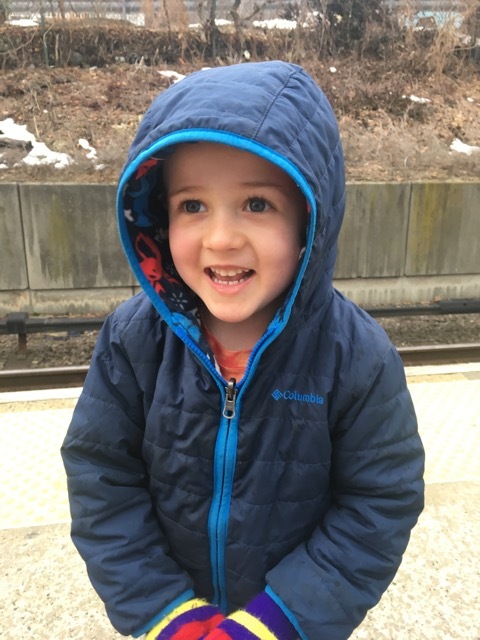 When Archer was 4 years old, he was diagnosed with Duchenne muscular dystrophy or DMD. The genetic disorder causes progressive muscle weakness and deterioration, which explained the symptoms Matt and his wife were seeing. They explained the diagnosis as best they could to Archer, in a way he would understand. 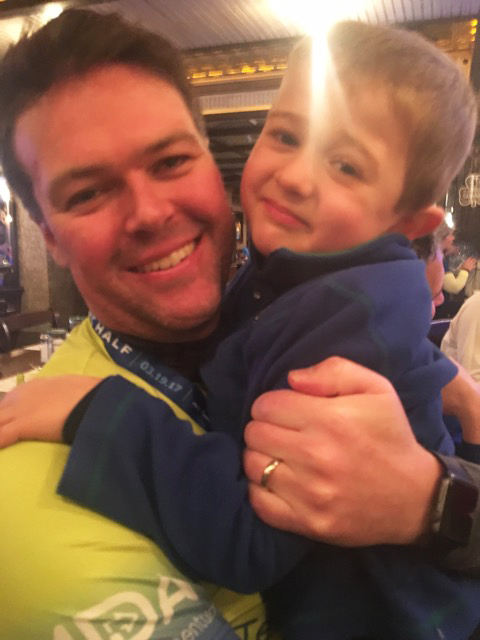 Archer cheered on his dad at the United Airlines NYC Half-Marathon on March 19. Their little boy has adapted. He knows that his muscles are different than most other people’s, so he does his stretches every night. Archer takes deflazacort, a corticosteroid that works as an anti-inflammatory and immunosuppressant, which was recently granted approval by the FDA to treat people 5 years or older with DMD. His medication, which is the third drug approved for diseases in MDA’s program in the last six months, has helped him immensely so far, and he continues to annoy his brothers. Matt wants a bright future for his son. That’s why he started the team Archer’s Way and ran with Team Momentum in the United Airlines NYC Half-Marathon in March. One of Archer’s favorite pastimes is going fast, according to his father. He loves snowboarding, biking and boating. Those generous people are Matt’s work colleagues at Scopia, a New York City-based hedge fund where Matt works as a trader. Scopia triple matched donations from his coworkers, bringing in almost $7,200. He knows that there is still much work to be done. Join the team and help adults and kids like Archer live longer and grow stronger!